Are you ready? We are very excited to announce this Weekend Event. This time it will be a special one because of St. Patrick's Day. Special character clothes will be purchasable in the in-game marketplace during this event. This is the main part of the St. Patrick's Day Event. You can find the contract by killing the Super Zombie in all Game Modes. You will get the Contract I and you have to finish this one to get Contract II and Contract III. 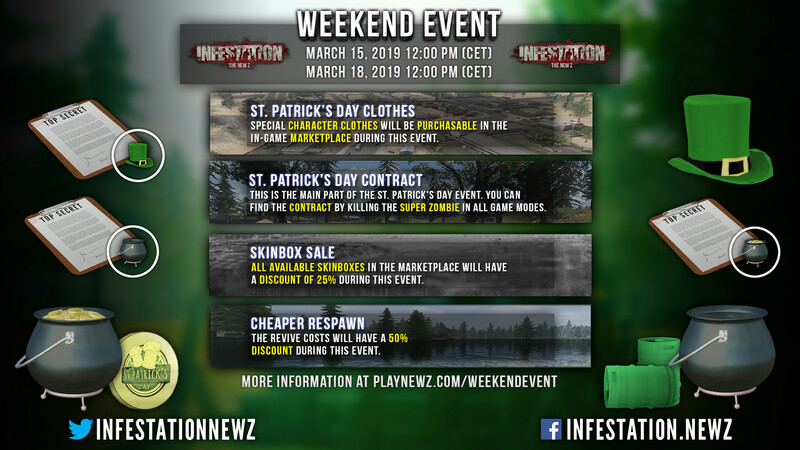 After you finished all the Contracts you will get a special item which is especially for the St. Patrick's Day. 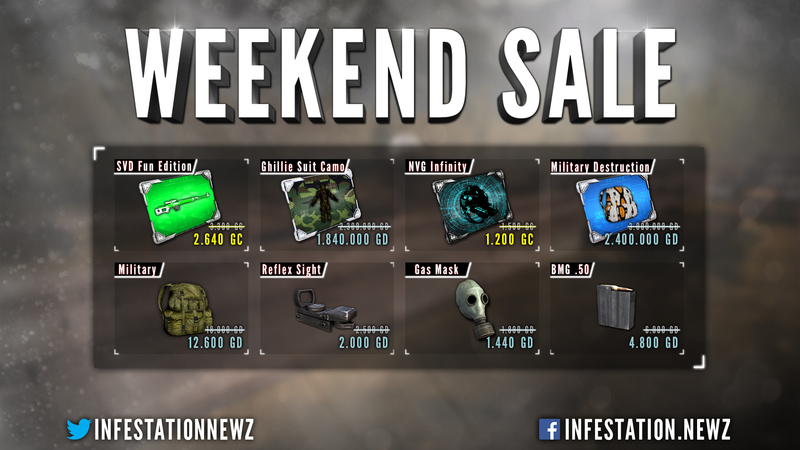 All available Skinboxes in the marketplace will have a discount of 25% during this event. We would also like to remind players if they experience any issues regarding the game to please contact ﻿us﻿﻿. Can you make a description in the missions tab, because im now doing the second one and got 2/3, but the third one doesn't seem to work or i'm missing a part that I can't read. hello, i have the same problem..
2.2 Drink the beer wiith a pot and 50 coins in BP. I'm not got coin anymore, why? I'm killing Zs, but just can't got it. where i can find the empty pot ? The Gold Pot is usuless or wat?